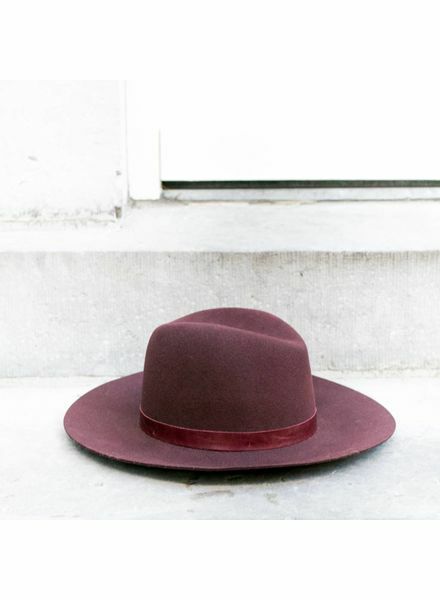 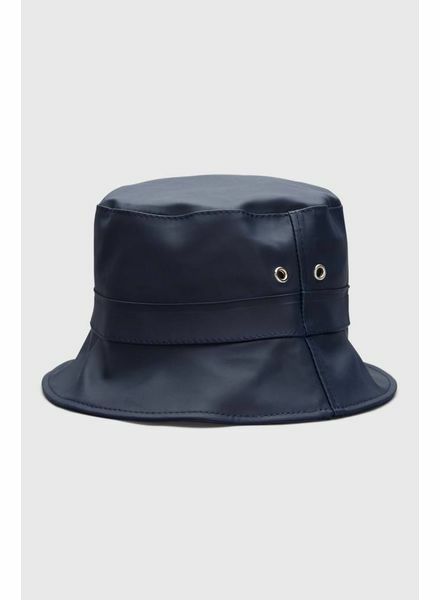 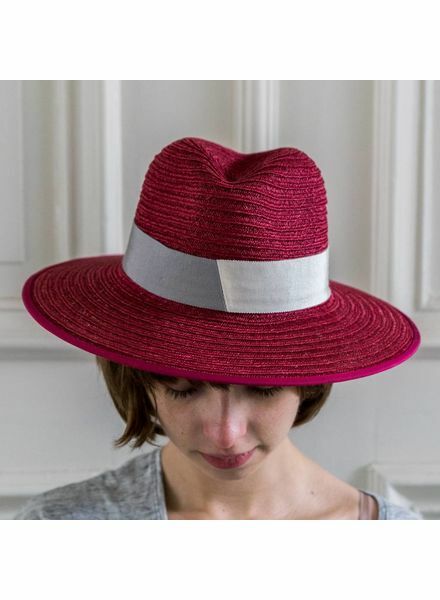 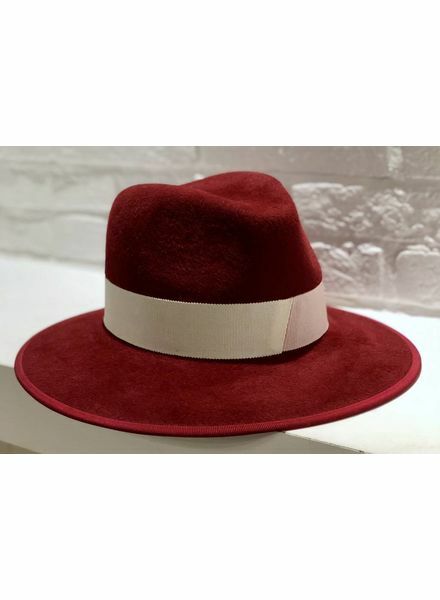 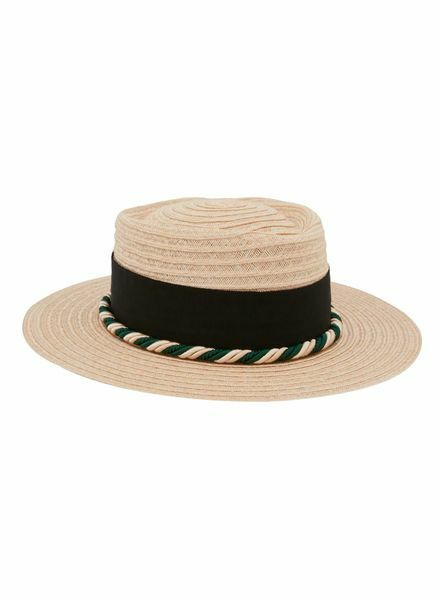 The Christopher Fedora hat has flat and 8cm long brims. 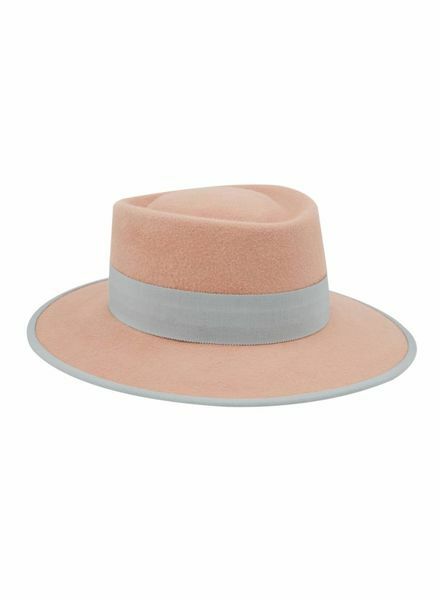 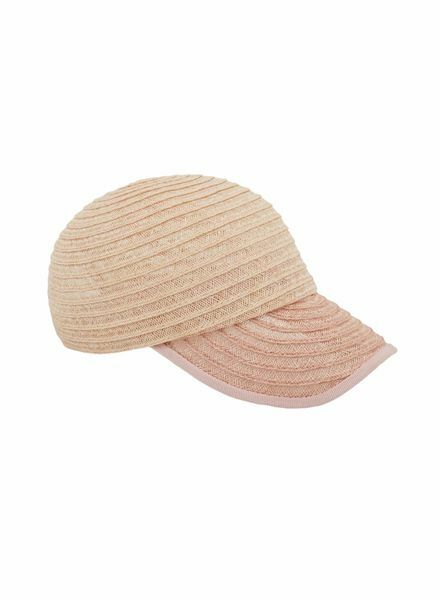 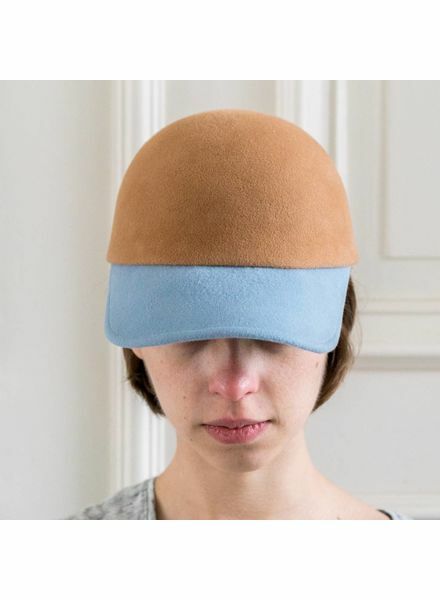 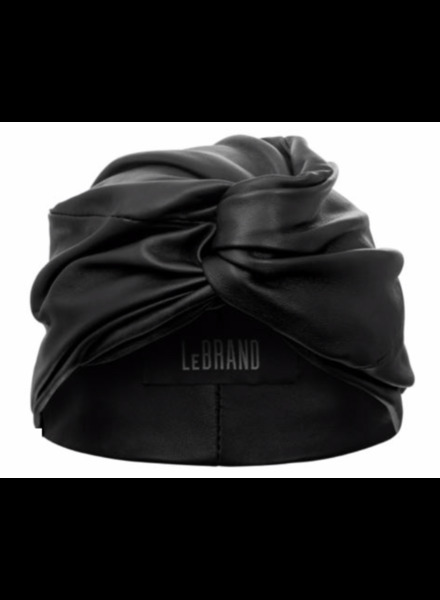 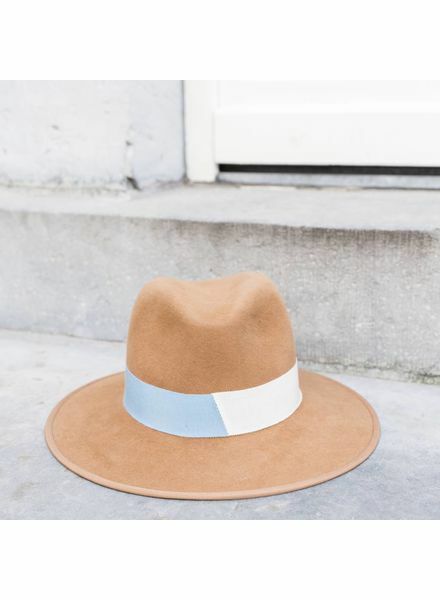 This high-end hat is made of camel rabbit felt with its ivory and pale blue gros-grain ribbon. 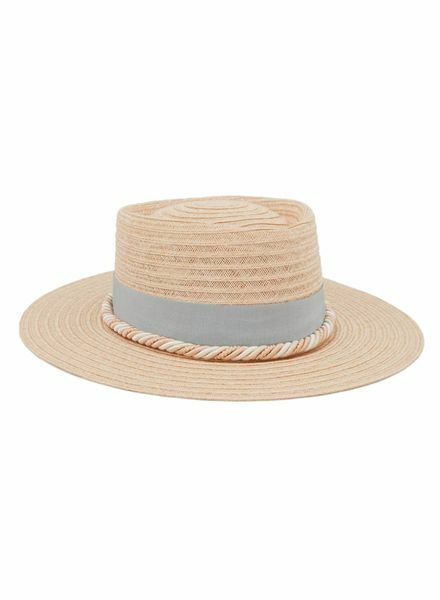 The Christopher Fedora hat has flat and 8cm long brims. 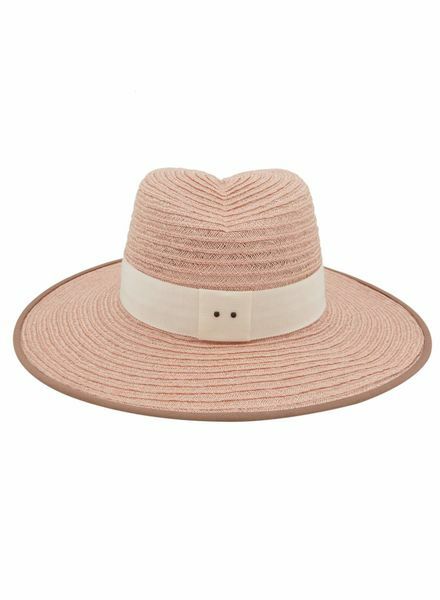 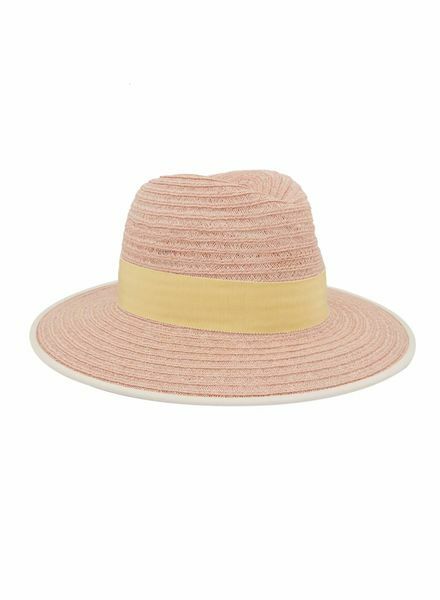 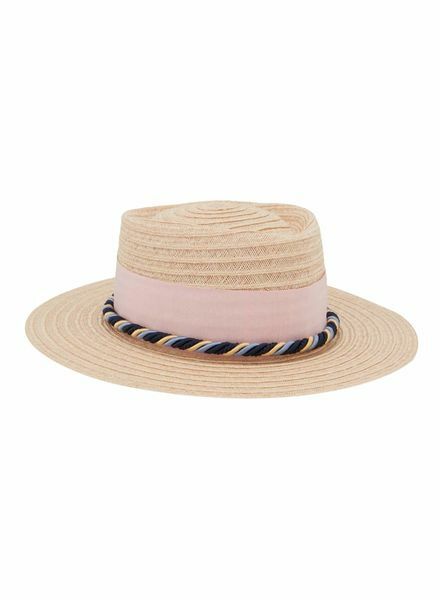 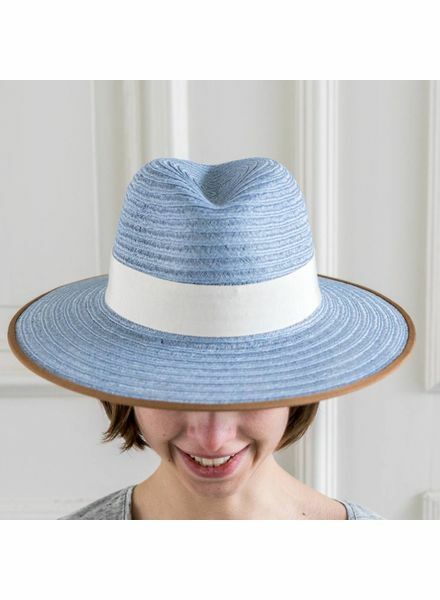 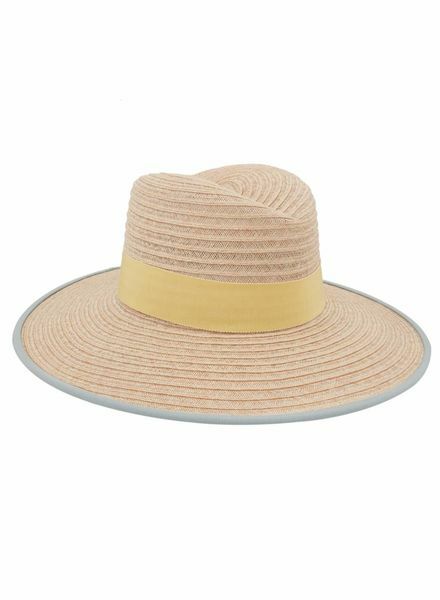 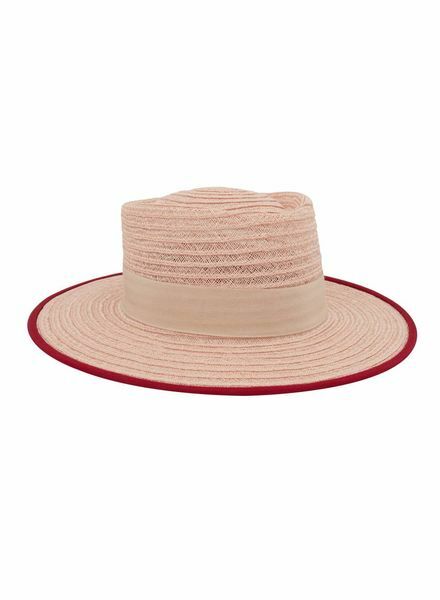 This high-end hat is made of pale blue natural sisal straw, with its ivory gros-grain ribbon and its camel edging.